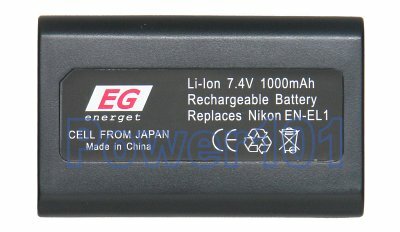 EN-EL1 battery is the most common battery used by most Nikon CoolPix cameras. It all started with Nikon CoolPix 775 880 885 995, and then continued to 4300 4500 5000 5400 5700 and 8700 models. The following cameras use this battery: Nikon CoolPix 775, 880, 885, 995, 4300, 4500, 4800, 5000, 5400, 5700, 8700, Minolta DG-5W and Minolta DImage A200. If you have another camera, please check with our camera compatibility list to find the battery you need. 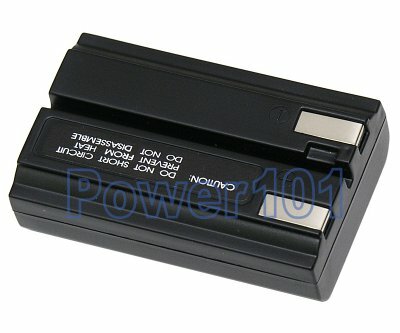 This battery can be charged by any standard charger capable of charging an EN-EL1 battery. Such as the charger that comes with cameras.